Nice! What is the 2nd ribbon on the bar? Ooh, that is cool, I like these weird medical combinations. That is the most medical awards I have ever seen on one bar. Wow. Deutsches Reich 1933-1945, Ehrenzeichen des Deutschen Roten Kreuzes 1937-1939, Kreuz 2. Klasse (OEK 3555), Br vg. Bulgarien Zarenreich bis 1944, 1.WK-Kriegsteilnehmermedaille. Holy cow, Claudio, that one is incredible, this guy must have had a very interesting career. Here is my little contribution. What puzzle's me, is the (possible) missing battle clasp above the Red Cross medal (see holes there). Wow! That's pristine, stone-mint backing!!! Maybe the holes can be explained that very likely the battle clasp was moved from the Red Cross medal to the right medal (China Medal)... could be? Who knows. Only a time period picture of the wearer with his bar could explain it. My latest entry... one of my longest bars (17 orders and medals). This officer was a Freikorpskämpfer on the Eastern front right after WWI. Some rare medals on the bar. So you won that bar....great! That is an awesome bar Claudio! There are some really uncommon medals on this bar. He had a long career and I hope the gent can be identified. 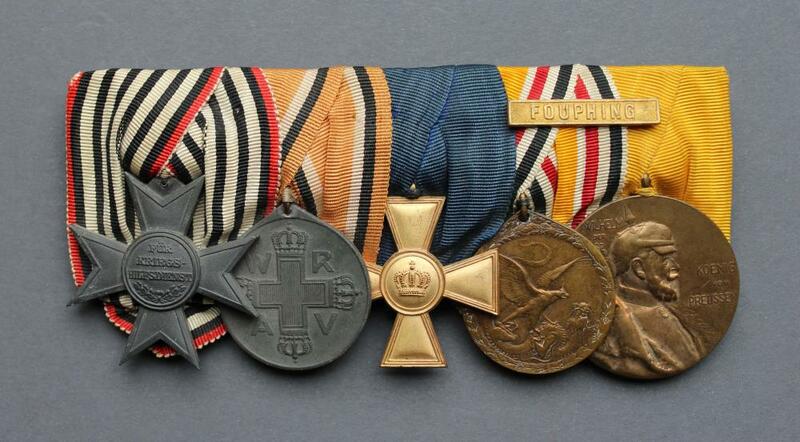 I'm afraid that on the basis of the medals on the bar, this is a practically an impossibile one to be identified, but I'm quite confident that somewhere lying around are still its documents to be found, maybe still with the family or collector that had this bar. It's like Falke's medal bar : it took me several years, but finally I could find the medal bar that went with documents (the other way around)! Let's be positive and hope... I'll be watching the next auctions if something interesting may surface... you never know! This was the comanding officer of the "Detachement von Randow" who fought the reds in 1919 (Freikorps) like the wearer of my medal bar. Very likely they knew eachother personally! Interesting to notice that von Randow's medal bar is not too far off of the one purchased by me. In fact he wears almost the same combination of medals with some minor differences: his Deutschritterkreuz "Detachement von Randow" has the swords and he does also wear the Baltenkreuz 1st and 2nd class. Furthermore is also quite interesting to point out that von Randow he's wearing some "Weimarer Republic" stuff that has been banned after 1934 to be worn on medal bars at official events/occasions (parades, gala evening etc.). Naughty! Naughty! Das Freiwilligen Detachement von Randow war eine Freikorps-Einheit im Baltikum nach dem Ersten Weltkrieg. Es wurde von Hauptmann Alfred von Randow am 5. Januar 1919 in Schaulen aufgestellt, nachdem sein Ersuchen auf Bildung eines Freikorps zum Schutz der Bahnlinie nach Schaulen vom Armeeoberkommando (AOK) am 2. Januar 1919 genehmigt worden war. Das Bahnschutz-Bataillon unterstand taktisch seit dem 5. Januar 1919 unmittelbar dem LII. Armeekorps, Insterburg, seit dem 19. Januar der 1. Infanterie-Brigade, Oberst Sydow. Von diesem Zeitpunkt an führte die Truppe die Bezeichnung Freikorps von Randow. Seit Ende Januar 1919 war das Detachement von Randow bestrebt, durch anhaltende kleinere Vorstöße den Gegner zu beunruhigen und ihn über die eigene Stärke im unklaren zu lassen. Fast täglich kam es zu Schießereien und Gefechten. Am 3. Februar 1919 stieß ein Jagdkommando der Abteilung von Randow bis zum Eisenbahnknotenpunkt Radviliškis vor und zerstörte dort Lokomotiven und Gleisanlagen. Am 10. Februar traten als Verstärkung zwei württembergische Kompanien mit fünf Offizieren und 300 Mann des XIII. Armeekorps als 7. und 8. Kompanie (Gruppe Schwaben) zum Detachement. Das Freikorps vergrößerte sich jetzt schnell und erreichte bis Ende Februar 1919 eine Stärke von 2.635 Mann und vergrößerte sich bis zu seinem Ende auf fast 5.000 Mann. Vom 14. März an trat das Detachement von Randow beiderseits Dubysa zum Angriff in Richtung Schaulen an und erstürmte eine Reihe von Ortschaften. Die litauische Regierung hatte von Randow hierzu mehrere Infanteriekompanien und eine starke Kavallerieabteilung unterstellt. Nachdem es am 27. Februar zu einem Gefecht der Nordgruppe des Detachements von Randow bei Szakiany gekommen war, das von den Bolschewiki geräumt wurde, versammelte das Generalkommando LII die Abteilung von Randow am 10. März im Raum von Cytowiany zum Vormarsch, in dessen Verlauf die Abteilungen Meyer und von Randow am 12. März Radviliškis und Schaulen besetzten. Im weiteren allgemeinen Vorgehen erzielte das Detachement am 22. bei Kapzuny einen beachtlichen Erfolg und unterstützte litauische Truppen. Am 3./4. April gelang es überlegenen russisch-bolschewistischen Kräften, das von litauischen Truppen und kleineren Teilen des Detachements besetzte Poniewicz zu nehmen; diese folgen aber nur mit schwächeren Kräften, so dass das Detachement die sogenannte Szoja-Linie gegen alle Angriffe halten konnte. Am 17. Mai übernahm Hauptmann Meyer die Führung des Detachements für den beurlaubten Major von Randow, der nicht mehr zu seiner Truppe zurückkehren sollte. 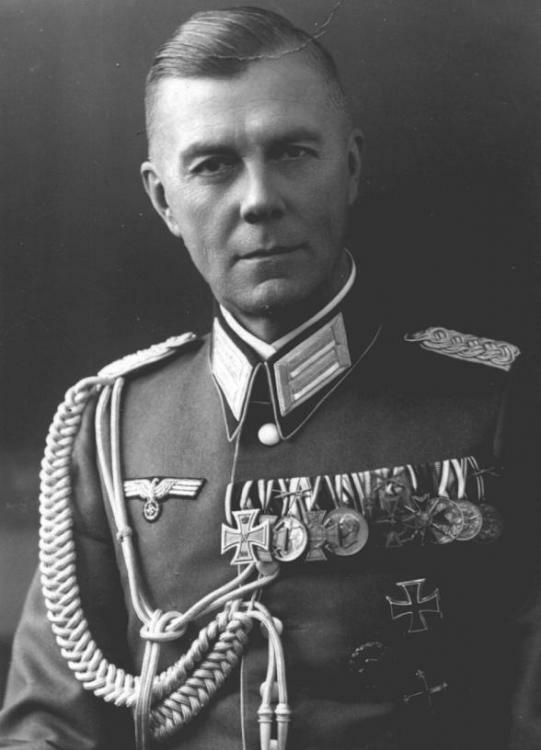 In fact he wears almost the same combination of medals with some minor differences: his Deutschritterkreuz "Detachement von Randow" has the swords and he does also wear the Baltenkreuz 1st and 2nd class. Firstly, that isn't a Deutschritterkreuz 2 Kl. on your bar, but the far rarer Avalovkreuz 4 Kl.. The Deutschritterkreuz 2 Kl. 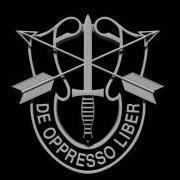 was for NCOs and enlisted men. This is clearly an officer's bar. An officer would get the pinback Deutschritterkreuz 1 Kl. Also, the ribbon for the Deutschritterkreuz 2 Kl. is plain watered black silk. Your ribbon is the Avalovkreuz black ribbon with red, white and black stripes for Germany and white, blue and red stripes for Russia on the edges. Originals of any class of the Avalovkreuz are nearly impossible to find. So, you have something pretty unique, more so because it's on a bar. Secondly, there wasn't a Baltenkreuz 2 Kl., but a semi-official version of the one-class only pin-back cross with suspension ring for wear on the medal bar. 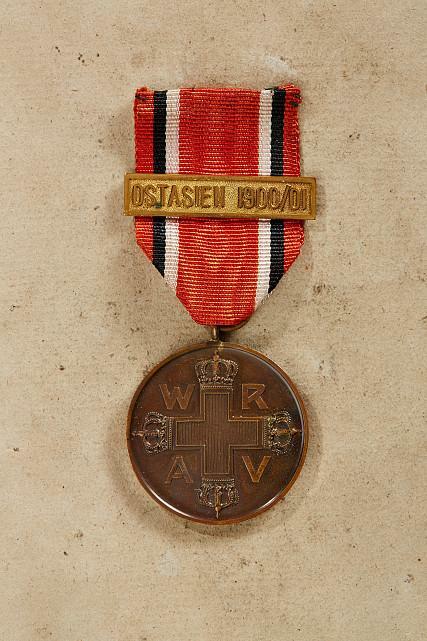 As far as I know, von Randow never received the Saint Stanislaus awarded by Bermondt-Avalov to officers of the Russische Westarmee or the St. George medal both of which are scarce to Baltic Freikorps fighters. Nor, as far as I know did he receive the SSVK medal. The black enameled Maltese cross with swords that von Randow is wearing is actually the Diebitsch-kreuz 2 Kl. Your bar is far more spectacular than the one von Randow is wearing as it's specific to both the Eiserne Division and the Russische Westarmee . It's pure speculation. But, given the two Luftwaffe long service medals and the number of Freikorps awards, it's possible the recipient of this bar was originally a Freikorps flier or at least attached in some capacity to a Freikorps squadron. The Eiserne Division had several Flieger-Abteilungen (FA 424, 426, 427, 429 and Artillerie-Flieger Detachment 101) consisting of 140 planes that transferred to the Russische Westarmee and joined the Russian 3rd and 6th Don Airforce. Was not FA 427 and Artillerie-Flieger Staffel 101 the same unit ? Wow... you make some very very interesting points; thanks for taking your time to explain these Freikorps awards, which are to the most of the collecting community quite unknown or underrated. I was saying that it was a Deutschritter cross of Randow's detachment award, because it was so described by the auction house. Furthermore I didn't know that the 2nd class of the Deutschritter order was intended only for NCOs; you never stop learning! If so, even better, because I know that the Awaloff-Kreuz (German spelling correct?) is quite a rare order, like the other Freikorps awards or commemorative medals. Most of them, because of them are being also quite heavily faked. 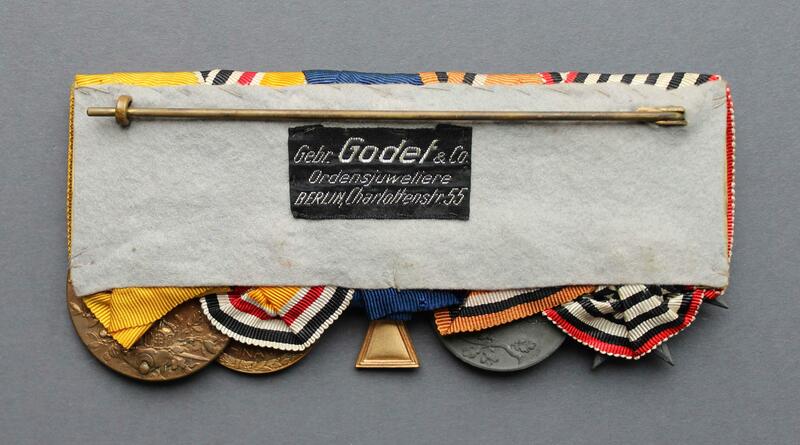 But you are right; to find such Freikorps medals or orders on a bar is quite rare or rather impossible. I did only see another one years ago being sold on Ebay for a lot of money. I wish I had saved pictures of it on my computer! But I do remember it wasn't a Godet's bar. I thought he could have been a pilot active on the Eastern front, but I also thought he could have been an junior officer that first was an Infantry-Officer and later went into the LW-service (like Kesselring to name a notorious career switch from army to air force). But of course it could be highly probable that the wearer of my bar was already in the air force maybe also a pilot during the end of WWI. I think that the wearer of my bar had to be very young, since he didn't have any other German WWI orders or bravery awards on his bar. In fact he could have joined the German air force very late in WWI maybe when he was only 20-21, so it would explain why he didn't have any other German awards like a Hohenzollern order, Saxon AO, BLZ, BMVO, WFO or others orders given usually quite profusely to junior pilot officers. Moreover he did have only 12 years long service medals on his bars, that means that he re-joined late in the 30ies the armed forces or maybe he was too young to get higher long service awards. Since there weren't so many pilots, maybe this bar could be identifiable but it would take a lot of time and research. Here attached I also put a picture of Detlev Niemann (2) German awards book about the Awaloff Order: oddly or interestingly enough Niemann doesn't mention any 4th class and all the pictured crosses on his book have a skull on the top cross arm at 12 hours. But I know that there were Awaloff Orders without skull (German version?). Thanks again to make this thread so interesting and to give so valuable and educated inputs into it. Basically yes. Artillerie -Flieger Staffel 101 was part of FA427. I have a Militarpass to this unit. I was mistaken. The Awaloff-kreuz only had 3 classes and yours is a 3rd class without skull. There were many variations of these made and handed out by Bermondt-Awaloff during the 1920s and 30s. Given the number handed out, it's amazing that there are so few real ones on the market. Konstantin Nikolaev writes extensively about this award in his book on Baltic awards. I'll have to struggle through the Russian and see what he says about the classes. By the way, it's also possible that your guy was a staff officer with the Freiw. russische Westarmee. But, unless the documents show up, or a photo with the bar being worn, I don't think it will be possible to identify him otherwise, even though it's a pretty unique set of awards. That's what I also I thought; but thank you very much again for your most interesting additional informations on these rare Freikorps awards. Hm, that could be an explanation. Any clasp on a Red Cross medal wouldn't fit due to the Red Cross medal itself. Die Spangen sind aus vergoldetem Bronze oder Messing gefertigt.